We are proud to welcome Risfjells Sameslöjd as a member of Sápmi Experience. With Risfjell Sameslöjd on board the collective knowledge in the Sápmi Experience group is increasing. Stories, handicraft, and culinary experiences are part of Doris and Sven-Åke concept to teach people in a humble way about Sámi knowledge and traditions. They mix handicraft, art, music and food in their work. They believe in opening all senses when experiencing Sámi culture and life. Doris and Sven-Åke are very keen students of Sámi history and heritage. They have researched ancestry among the Sámi in Vilhelmina and Malgonäs but know a lot about Sámi families and their ancestry in other areas too. In their little handicraft shop where they sell their own work the keen interest in history has also led to a small museum being created with a collection of exquisite Sámi art and handicraft. The Risfjells are sought after lecturers way beyond the borders of Sápmi and they contribute to the Sámi heritage being made known and thereby secured for future generations. 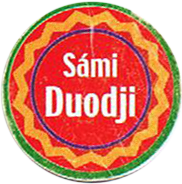 Companies labeled with Sápmi Experience work with sustainability, responsible practices, have safety plans, good business ethics and help local development. Most of all they can give you a compelling insite into the Sami world and a give you a great stay in Sápmi. 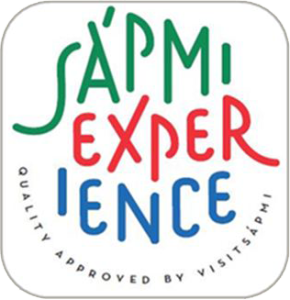 What criteria apply for the Sápmi Experience Quality Mark? Who can be awarded Sápmi Experience? What types of businesses can operate within the framework of the Sápmi Experience Quality Mark? How should a Sámi tourism company support the sameby reindeer cooperative it operates in? If you would like to find a birthday gift or a gift for your company we have a lot of interesting products to offer you. You are welcome to contact us for helping you to find a gift that will fit your wishes. At our shop and gallery you will find traditional Lappish, Sami handicraft (Duodji) like Sami knives, jewellery, drums, Sami bracelets, reindeer skins and our textile production designed with the old noid, shaman pattern from Marsfjäll. Copyright © 2018 Risfjells Sameslöjd. All rights reseved. Thanks to Robert Kakarigi for letting us use your photos. Thanks to Victoria and Anthony Innerd for helping us with the translation.